A report issued in March 2012 from the U.S. Bureau of Labor Statistics reveals compelling insight regarding the employment situation for veterans of our armed forces who return to civilian life after being deployed: The unemployment rate for returning veterans from the second stages of the Gulf War was 12.1 percent in 2011. Even further, the unemployment rate for young, recently-deployed veterans – those 18 to 24 years old – was much higher at 29.1 percent. Statistics for 2012 have not been released, but more than likely will show the unemployment rate for young returning veterans remains way too high. The BOMA/Chicago community is comprised of a number of diverse office properties, large global corporations and privately-held companies serving clients in metropolitan Chicago. Last year, members of the BOMA/Chicago Security Committee launched an initiative called “Operation Welcome Home.” The mission of the program was to build awareness among BOMA/Chicago member companies about the situation facing returning veterans and encourage them to hire veterans. 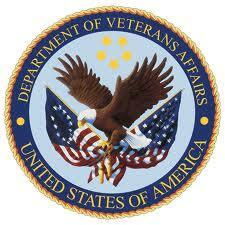 There are tax advantages and other financial incentives offered by the federal government to hire veterans. You can learn more about the tax benefits of hiring veterans by visiting this page from the Illinois Department of Employment Security as well as other advantages of hiring vets through the Heroes 2 Hire website. You can also support this initiative by attending the “Presidents Day Veterans Employment and Resource Fair” hosted by the IDES in partnership with the Jesse Brown VA Medical Center. The event will take place on Tuesday, Feb. 26 from 9 a.m. to 2 p.m. at the Center, located at 820 S. Damen Av. in Chicago. If you have additional questions about the February 26 Fair, please contact Maria Talis of the IDES at 312-243-6795 or Philip B. Maranon of the Department of Veterans Affairs at 312-569-8624. Many Chicago-area veterans are expected to attend. Has your company hired veterans or implemented a program to recruit vets? Please share your insight. This entry was posted in Chicago CRE industry and philanthropy and tagged 820 S. Damen Av. in Chicago, A report issued in March of 2012, advantages of hiring vets through the Heroes 2 Hire website, BOMA/Chicago member companies, BOMA/Chicago Security Committee, Jesse Brown VA Medical Center, Maria Talis, Mark Kexel Titan Security Group, Philip B. Maranon, Presidents Day Veterans Employment and Resource Fair hosted by the IDES, tax benefits of hiring veterans, The BOMA/Chicago community, U.S. Bureau of Labor Statistics, visiting this page from the Illinois Department of Employment Security. Bookmark the permalink.